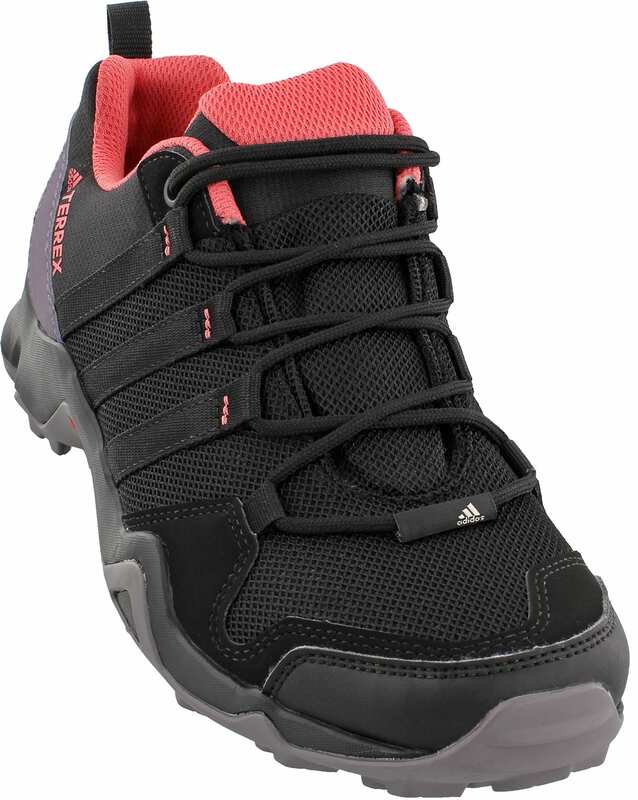 Start exploring the trails and outdoors around you wearing the Adidas Terrex AX2R Hiking Shoes for women. 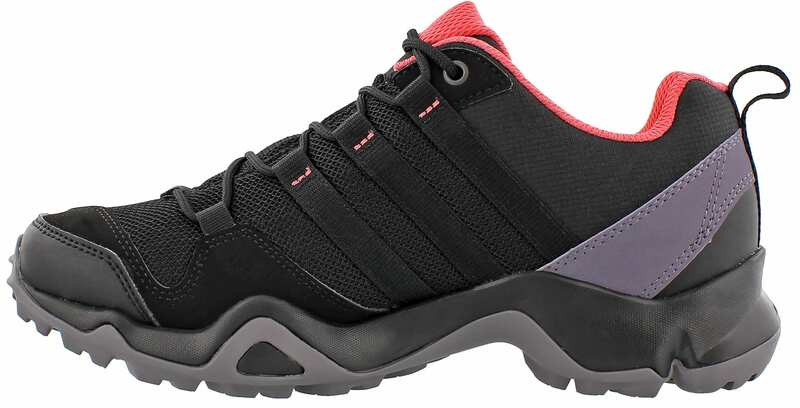 Adidas designed these hiking shoes for the woman who is adventures but wants a shoe that can go from the trails to dinner with friends. Crafted with a molded sockliner for a great fit and comfort, you will be exploring for hours after you should be. The lightweight EVA midsole aids in keeping you outside and reaching new limits. 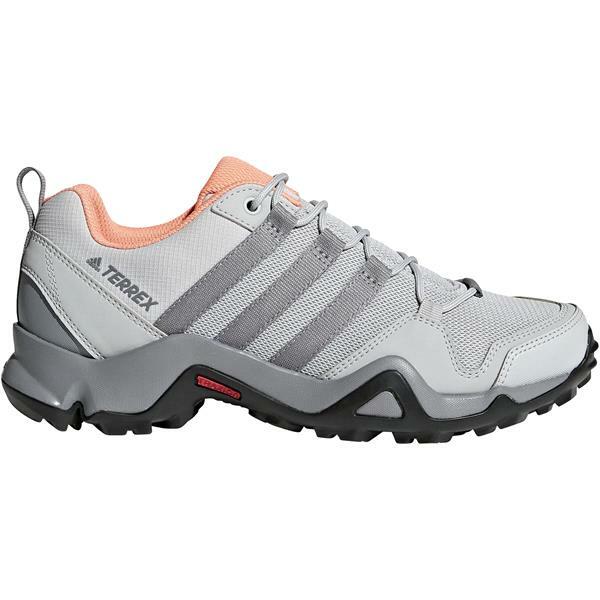 While you are outdoors the Terrex AX2R are shock absorbent featuring adiPRENE® for maximum cushioning. 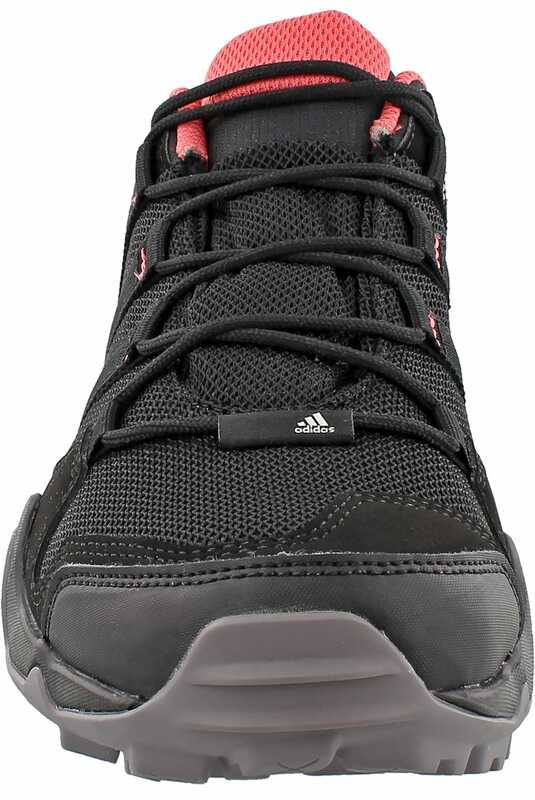 A rubber outsole enables great traction in slippery conditions for optimal grip. 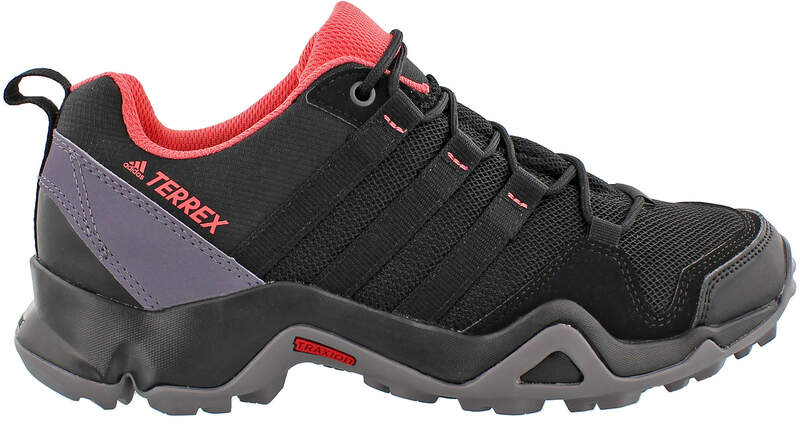 Lace up and get to reach new goals in the Adidas Terrex AX2R Hiking Shoes for women.